Originally developed for the Israeli Defence Force (IDF) and counter terrorism groups, these are the true roots of Krav Maga. Tried, proven and utilised by numerous military and special forces units around the world, Krav Maga is the ultimate all-encompassing defensive tactics system. Continually tested in war zones and in countless hotspots around the world, Krav Maga offers solutions for soldiers where conventional training falls short. Krav Maga is not designed to replace or change your current operational procedures, OFOF or ROE. 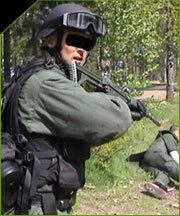 It is designed to further complement a soldier's training in performing their duties. Whether you're at home, on peace keeping missions, or in hostile environments, Krav Maga integrates seamlessly alongside your current training. 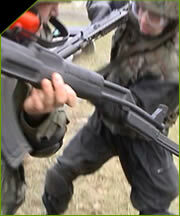 We offer only first-class training with realism, OFOF and ROE in mind. Click here to go to the IKMF-HQ Website for more information on Military Krav Maga Training worldwide!